This website provides information and resources related to on-going efforts by UC Cooperative Extension to improve biological control of the Virginia Creeper Leafhopper (Erythroneura ziczac Walsh) in Mendocino and Lake County wine grape vineyards. Click here for a short video overview of this program. Since 2011, organic grape growers in Mendocino and Lake County have been experiencing severe outbreaks of the Virginia creeper leafhopper (Erythroneura ziczac Walsh) [Hemiptera: Cicadellidae]. 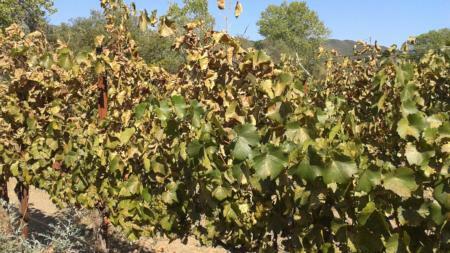 Feeding by E. ziczac causes stippling of grape leaves which can reduce vine productivity and ultimately effect crop yield and fruit quality. Large adult populations of this pest can also be a nuisance to workers at harvest. Although E. ziczac has been reported in northern California vineyards since the mid-1980s, growers in the North Coast have only recently begun to experience major outbreaks. This is likely due to recent introductions of the pest into new areas of this region where there is a lack of effective biological control. 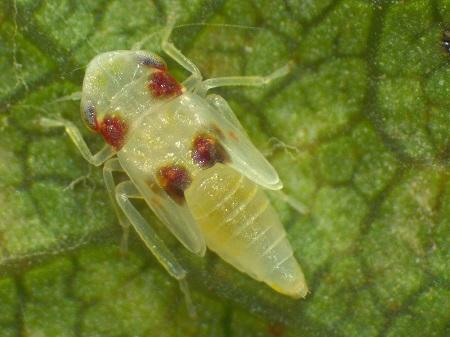 Erythroneura ziczac is closely related to another key vineyard pest, the Western grape leafhopper (Erythroneura elegantula Osborn). While many growers are familiar with management strategies for E. elegantula, these practices must be modified to account for the more rapid development of E. ziczac populations. Implementation of an area-wide integrated pest management (IPM) program could improve grower awareness and adoption of best management practices for this novel pest. Furthermore, a parasitoid that effectively attacks E. ziczac has been identified (Anagrus daanei [Hymenoptera: Mymaridae]) in the Sacramento Valley (Yolo County) and biological control of E. ziczac may be improved by introducing this parasitoid into North Coast vineyards. By pairing efforts to introduce A. daanei into the region with a coordinated area-wide IPM program, it may be possible to significantly reduce the severity of these on-going E. ziczac outbreaks. Funding for this project has been provided in part through a grant awarded by the Department of Pesticide Regulation (DPR). The contents of this document do not necessarily reflect the views and policies of DPR, nor does mention of trade names or commercial products constitute endorsement or recommendation for use. Additional project support provided by grants from the American Vineyard Foundation.